A former city administrator in Flint who says she was fired for exposing suspicious activity by the mayor is getting another day in court. A federal appeals court on Thursday reversed a decision by a judge and said a jury can sort out whether Natasha Henderson was illegally fired by Mayor Karen Weaver. The court says there's a key dispute over significant facts in her whistleblower claim. Henderson was ousted as city administrator in February 2016. Weaver says she fired her for failing to timely inform the mayor about an outbreak of Legionnaires' disease during the lead-tainted water crisis. But Henderson tells a different story. She says she was fired when she became concerned that Weaver might be steering donors away from a fund for water victims and instead pointing them to a fund controlled by the mayor. A judge has dismissed a lawsuit claiming a former Flint city official was fired for accusing Flint Mayor Karen Weaver of corruption. Former Flint City Administrator Natasha Henderson filed the case in federal court one year ago. On Wednesday, U.S. District Court Judge Sean F. Cox ordered to dismiss the lawsuit, saying Henderson’s allegation against Weaver was not protected under the First Amendment. Flint’s former city administrator is suing the city and Mayor Karen Weaver. 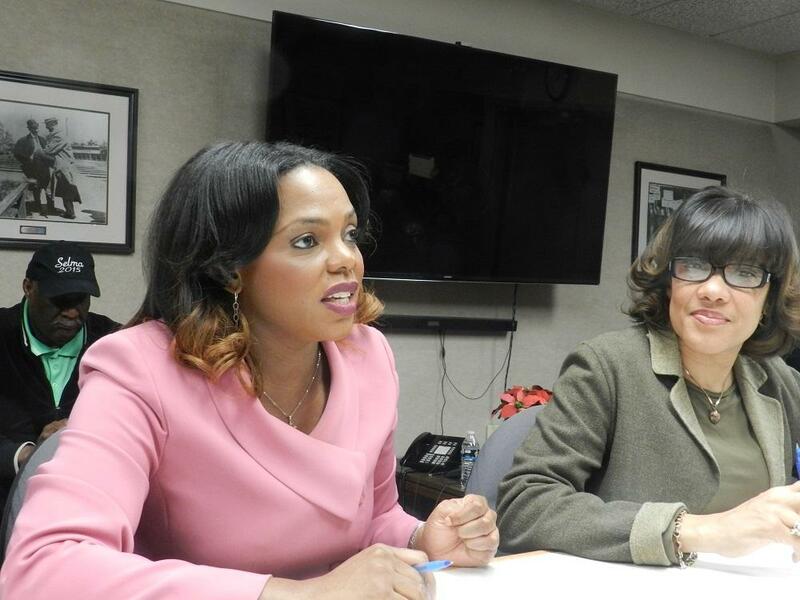 The lawsuit claims Natasha Henderson was fired after she raised questions about donations to a Flint water crisis charity being redirected to another fund created by Mayor Weaver. Katherine Smith Kennedy is Henderson’s attorney. She claims Henderson’s job was terminated hours after she raised the issue with the city attorney. “The timing is so suspicious,” says Kennedy, who admits she doesn’t know if there was anything illegal about redirecting donations.